Kevin Mahogany now brings forth a show that pays homage to the "Father of Rock and Roll" and the "Boss of the Blues" - Big Joe Turner. After portraying Big Joe in Robert Altman's movie, Kansas City, this Big Joe Turner tribute is a natural progression for Mahogany. 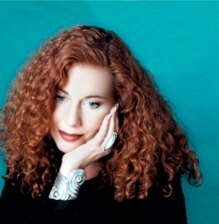 When Mahogany arrived on the international music scene in the mid-90s, it was with a sound that was both traditionally grounded and boldly innovative. The result was a much needed change to the musical landscape. 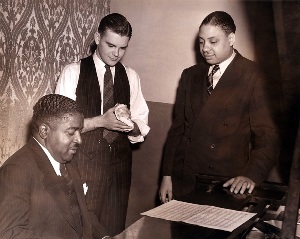 Over the course of Mahogany's extraordinary career, he has made significant breakthroughs in style and sounds that redirected, redefined and even reinvented modern music. The New Yorker said it best when they said, "there is little Mahogany cannot do." Big Joe Turner - Pete Johnson - Bennie Moten - Jimmy Rushing Jimmy Witherspoon - Joe Williams - Julia Lee - Kevin Mahogany and many more! Big Joe Turner is the feature point of this show. However, the music of all the other listed artists appears in the show as well. The show uses a 45 song playbook, which ranges from the R&B of “Shake Rattle and Roll,” “Flip Flop and Fly” and “Honey Hush”…through the boogie woogie of “Roll ‘em Pete” to the blues of “Cherry Red,” “Sweet Sixteen” and “Kansas City." 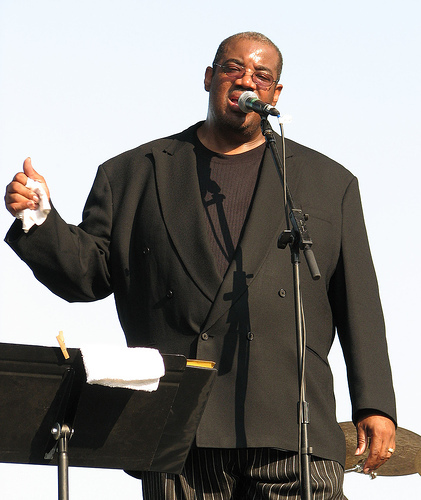 Kevin Mahogany's self-penned composition “KANSAS CITY BORN AND BREED” sums up the theme of this show. "nature unleshes a gale force voice"
"the standout vocalist of his generation." "one of the first truly gifted male vocalists to emerge in years." and the Kansas City Revue sound like? 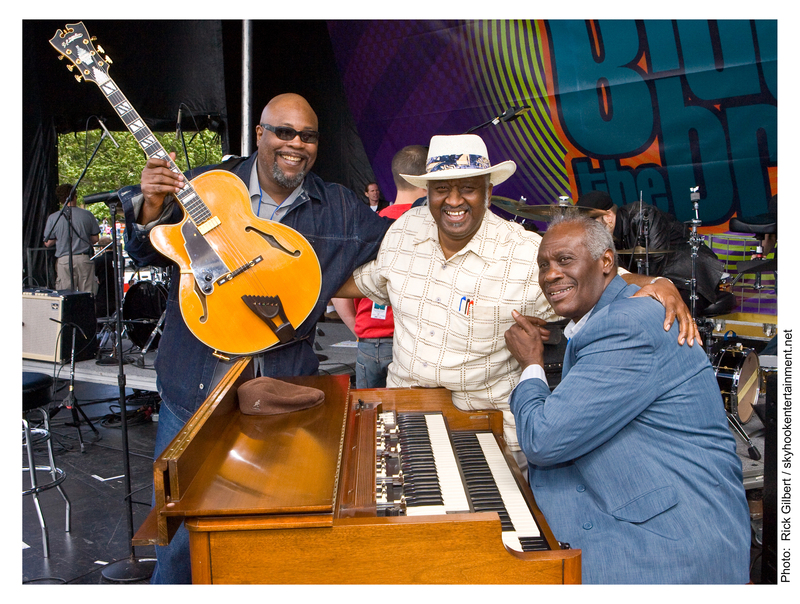 (Previously known as The Masters of Groove), they are an All-Star group comprised of Reuben Wilson on the Hammond B3, legendary Bernard "Pretty" Purdie on drums (Rock and Roll Hall of Fame - having recorded over 3,000 R&B and Rock albums! ), and Grant Green Jr. on guitar. What did Big Joe sound like?